Make a unique, “rustic”, yet incredible-sounding 3-string electric lap steel slide guitar. Cost for this workshop is $100. Email stanceglinski@gmail.com or phone 0412 429 156 if you’d like to book a spot…or bookings can be made on the day. Stan Ceglinski has spent the past 27 years travelling throughout Australia, entertaining, educating and workshopping with folk from 4 years old onwards. 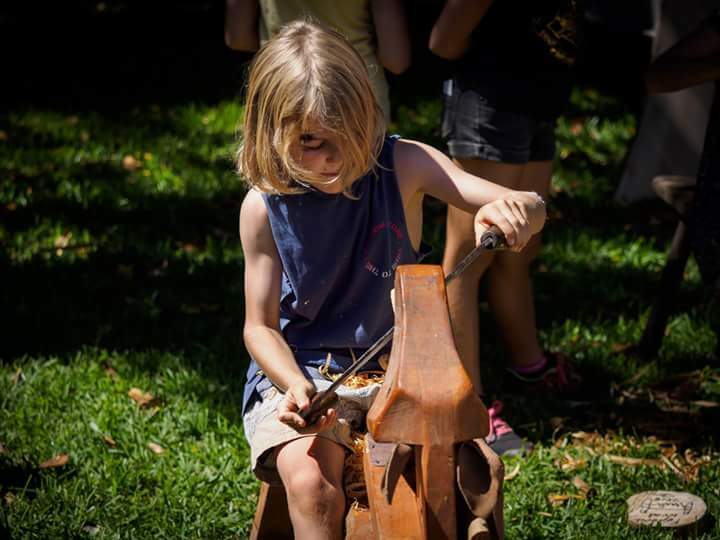 Stan demonstrates his skills with cross cut saws, broad axes, adzes, shingle splitting and the design & making of interesting musical instruments.